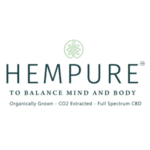 20% off discount for first-time customers at Hempure CBD! 10% OFF trusted and premium CBD products from Green Road’s World! 10% OFF site-wide at Anavii Market! Premium trusted CBD marketplace of all your favorite brands. CBD capsules are one popular dosing method for cannabidiol supplements that offer a range of conveniences and potential health benefits. They're used among patients of all ages, for both general health concerns and medicinal purposes. CBD capsules are available in all potencies, which makes them useful for most cannabidiol patients. They may also be useful as a dietary supplement, as well, because some hemp oil capsules contain multiple nutritional fats. If you currently take cannabidiol or think that it may be beneficial for you, CBD capsules may be the best method to fit your lifestyle. They offer all of the same potential benefits of other cannabidiol supplements in an easy, oral dose. Talk to your doctor about capsules before deciding to add them to your daily routine. He or she will be able to help you decide if CBD capsules are the right choice for you. At Save on Cannabis, we want to help you get your favorite CBD and cannabis supplements for the lowest possible price. We partner with many cannabis brands to find the best CBD capsule coupons and discounts. Once you have decided capsules are right for you, browse our directory of coupons to ensure you never pay more than you have to. Who Should Take CBD Capsules? CBD capsules may be beneficial for users of all ages, demographics, and health conditions. However, they are not necessarily the most popular method used for children who cannot easily swallow pills or elderly patient who already have a heavy load of pills in their routine every day. They do offer many conveniences though for other patients which makes them one of the most frequently purchased cannabidiol supplements on the market. Capsules are a flavorless option offering a premeasured dose of CBD. They may be great for users who take regular doses every day, as they can be easily added to a pill organizer. CBD pills are a mobile option, too, since the bottle is often small enough to be carried in your car, purse, or bag. CBD pills may be one of the most “casual” options since they don't upset a normal routine. You can easily swallow pills or gel capsules. You take a regular, measured dose of cannabidiol every day. You already take some oral supplements or pills and want to add cannabidiol pills to your natural routine. You would benefit from premeasured doses of cannabidiol. You don’t care for the flavor of tinctures, edibles, or other methods, and want a dosing method that is virtually flavorless. You and your doctor have decided that capsules are the best choice for you. Just like other cannabidiol supplements, CBD capsules have a range of potential benefits. This means that several health conditions may be treated with this dosing style. There are also other potential benefits that encourage people to take CBD pills daily. In regards to choosing capsules for treating health concerns, some conditions may benefit from the dosing style more than others. Conditions that do not require an immediate CBD dose (like tinctures) or that benefit more from regular, timed doses may be best treated with capsules. Treating Inflammation: Cannabidiol is frequently chosen for its ability to reduce inflammation, which makes pills a popular choice for people who suffer from inflammatory conditions. It is able to react with neurotransmitters in the brain to block signals that cause inflammation. Conditions like arthritis, scleroderma, gout, or other inflammatory conditions may be controlled with regular CBD doses. Managing Mild to Moderate Pain: Cannabidiol may also react with neurotransmitters to reduce or stop pain signals sent to the brain. This makes it useful for treating pain due to surgery or injury, People who suffer from regular mild to moderate pain or conditions that often result in pain may also benefit from this dosing style. Promoting Focus: Studies have looked at the effects of cannabidiol on the brain, and one in particular outlines it as a wake-inducing agent. Many people take CBD capsules first thing in the morning (sometimes in place of regular stimulants, like coffee) to promote mental focus and prevent fogginess or fatigue. Reducing Insomnia: Evidence shows that cannabidiol may be useful for reducing insomnia because it has the ability to regulate sleep-wake cycles. Because it may promote focus during the day, prevent fatigue, exhaustion, or untimely naps, it may also result in regular sleeping patterns and more resultful sleep during the night. Reducing Anxiety: Multiple studies have researched cannabidiols effects of anxiety, and many have also defined it as an anxiolytic medication. This may make CBD capsules useful for treating anxiety disorders ranging from generalized anxiety disorder to specific conditions like social anxiety or obsessive-compulsive disorder. In short, cannabidiol reduced the build-up of toxins in “white” fat content. When the toxins are removed, white fat turns to brown fat. Brown fat is burned more quickly, while white fat is stored. This may help increase the fat burning process, resulting in weight loss when taken with a healthy diet. While the bulk of CBD users utilize it for its potential medicinal benefits, there are many people who utilize hemp pills as a dietary supplement as well. Because CBD gel capsules must utilize a carrier oil, most of them contain the benefits of hemp oil as well. Hemp oil is full of nutritional fat and vitamins that may make it a beneficial addition to a balanced dietary routine. Hemp seed oil contains a 3:1 ratio of two important essential fatty acids, Omega-6 and Omega-3. These fats have been positively linked to heart health and are often a nutritional concern for people with heart conditions. Hemp capsules may contain a substantial dose of DHA, which is important for brain development and health. DHA is especially important for younger children since their mind is developing rapidly. Hemp contains gamma-linoleic acids (GLA), which are important for hormone regulation, especially in women. The essential fatty acids found in hemp oil have been shown to help support healthy gut flora, which can help boost immune system responses to bacteria and viral infections. How Long Do CBD Capsules Take to Kick In? Cannabidiol capsules may not be as immediate as some other methods, like tinctures or concentrates. When a capsule is swallowed, it is processed by the digestive tract. However, pills are made with a special coating that dissolves quickly. This means that the CBD is released from the capsule within 15 minutes so that the body can begin to process it. Unlike edibles, the capsule does not have to go through the entire digestive process. The typical wait time for CBD capsule activation is around thirty minutes and can be up to one hour. You should feel the full effects of most CBD capsules after one and a half hours. If you stack doses, you should wait at least one and a half hours after the first dose to take more cannabidiol. Cannabidiol pills are similar to other cannabidiol supplements in that they last for about 4-6 hours. This time varies depending on several factors, like the patient's weight, gender, health condition, metabolic rate, and the amount of cannabidiol taken. You can take another CBD capsule when the effects start to fade, but you should design your CBD routine with the guidance of your doctor. All capsules are available in a wide range of potencies and doses, which may make them convenient for any and video patient. Doses as low as 1 mg are available, but most patients purchase CBD capsules at their whole dose size. For instance, if you take 30 mg twice a day, you can find capsules that are measured into 30 mg doses. This is part of what makes cannabidiol capsules so convenient and popular since other supplements need to be measured out with each dose. For patients who prefer to stack doses as needed, it may be beneficial to purchase a smaller dose. For instance, someone who takes 30 to 45 mg at a time may benefit from 15 mg capsules. Then the patient would take two to three as needed to treat their symptoms or conditions. You and your doctor should work together to choose a cannabidiol dose that works best for your lifestyle, health condition, and routine. Your doctor will also be able to help you decide when you should take your cannabidiol dose to best benefit you. Always talk to your doctor before adding cannabidiol to your routine or before making changes to your current cannabidiol dose. Save On Cannabis partners with cannabidiol brands to guarantee that coupon codes will work when you check out at their site. We guarantee that all CBD capsules coupons that show a Save On Cannabis Verified badge will work to provide the savings listed. If a coupon code does not work, do not hesitate to reach out to us and we will ensure that you get the proper discount from the vendor. Please make sure to read all exclusions of coupons to make sure that you followed the rules of the brand’s coupon. They are always listed in the coupon details of our verified coupons. We are happy to assist you in exploring our CBD directory. 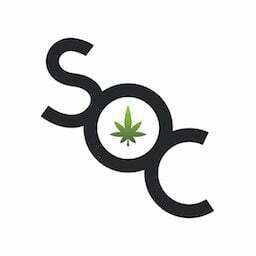 If you do not see a particular brand or product listed, please reach out to us at Hello@SaveOnCannabis.com. We will do our best to get your favorite products listed on our site. We are happy to be able to guarantee you savings on the best cannabis brands available online. Make sure to browse the rest of our site to find other awesome cannabis coupon codes and spread the word to your friends so they too can save. There are new products every day, so be sure to stop by regularly to see new listings and updated verified CBD capsule coupons.